Owning a custom sportfish is a dream for sportfishing enthusiasts. Custom boats are often built to exact design and style specifications to create the classic and timeless “custom look”. 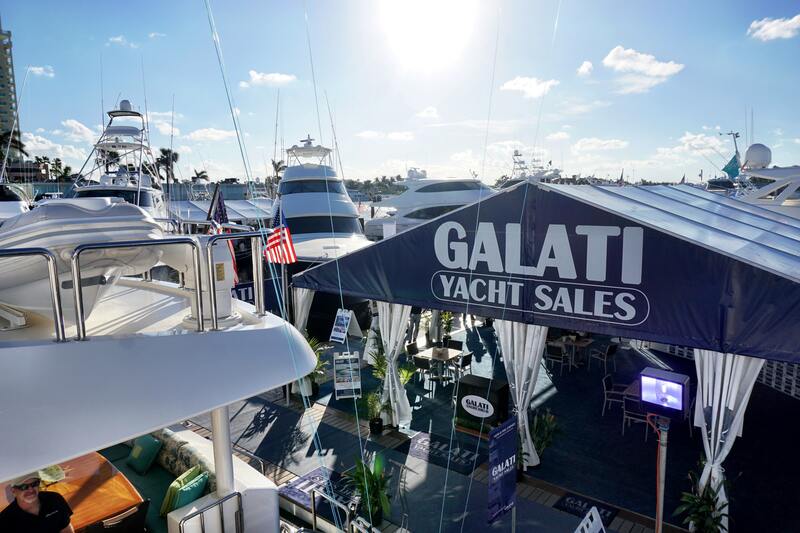 If you have ever wanted to own a custom sportfish, Galati Yacht Sales can help you out. We currently have seven custom sportfish opportunities that were all built to tailor the demands of a sportfisherman. If you are interested in learning more about these custom sportfish or any other boats, you can use the worldwide search function or contact a yacht broker near you. “Kelsey Lee”, a 78’ Garlington is one of only three 78s built by Garlington and the only one with a skybridge for ultimate comfort and fish ability. Meticulously maintained by its one and only owner this 78 Garlington has had no expense has been spared. Though her hull was originally commissioned in 2005, she underwent a Major Refit done at Merritts Boatyard in 2011. The Kelsey Lee was updated with a complete paint job, New M91 Engines, New Onan Generators, Updated Electronics, and much more. 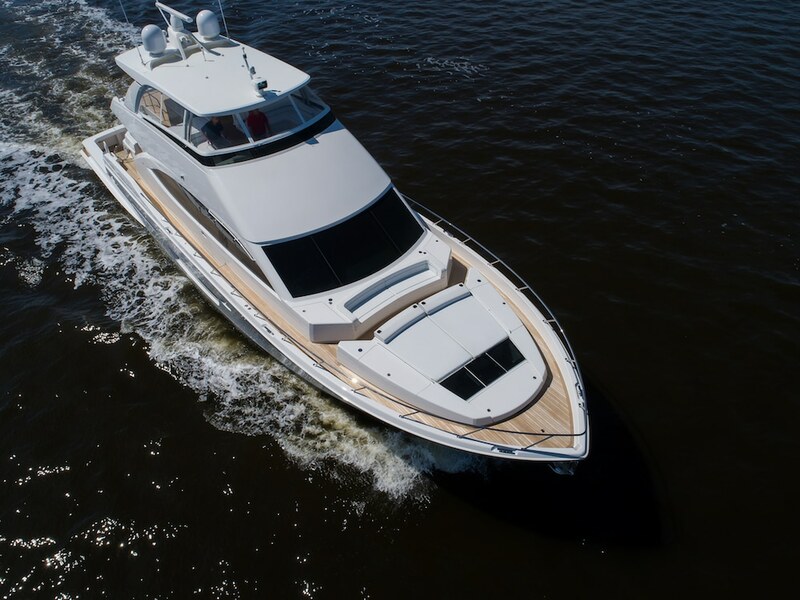 This yacht has everything you need to travel globally … huge refrigerated fish holds, giant bait tank, tons of storage space and a beautiful comfortable interior. Call today for more information or to schedule a private tour. “Loud Enuff” is a 76 Mark Willis Custom Sportfish yacht that is a top pedigree of custom yacht building. Offering incredible performance, sea keeping ability, and quality at every turn this yacht is a must see for the most perceptive of sportfishing enthusiasts. 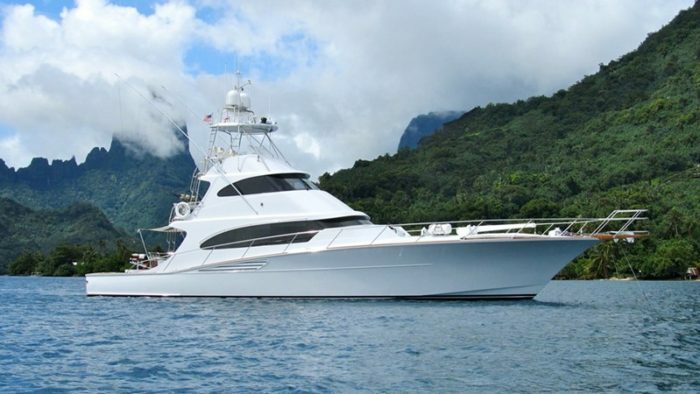 The current owner has maintained this yacht to the highest of standards and recently upgraded the interior of this yacht, navigational electronics, and AV equipment to top of the line systems. In addition, a new bottom job, prop speed and prop reconditioning was just completed in July 2017. The 58′ Monterey Sportfish, “Miss Anna Maria” represents the true heritage of Monterey’s fine pedigree and craftsmanship of a quality timeless custom built vessel. She has been recently updated and equipped with an extensive list of cosmetic and mechanical improvements for her next owner to benefit from, including a recent overhaul of the starboard engine (June 2017). She is a proven off shore fishing machine, having successfully fished the Gulf of Mexico, Bahamas and Caribbean. Originally built as legendary golfer Jack Nicklaus’ personal boat, she has an equally legendary ride, with smooth clean appealing lines, and a proven engine package with low fuel burn making her a great economical and comfortable fishing machine. 1998 Custom Carolina 65 Custom Convertible “Gotcha” is a premier traveling sport fish battle wagon with a great Carolina Ride and extended range. The beautiful cherry and teak wood interior exudes quality and elegance. She’s set up and ready to go with all the accessories needed for traveling or making comfortable runs to and from any buyer’s home port. Gotcha’s Carolina pedigree is matched only by her legacy of catching marlin in the sport’s best destinations. Discriminating custom sport fish buyers will not be disappointed in her performance or extremely well kept condition. The owner is a serious seller and offers are encouraged. Select trades considered. 2015 Briggs 61 Convertible, Chavella is truly a one of a kind, high quality custom sport fish and is offered at a fraction of replacement cost and at an aggressive asking price. A rare find in a 61 foot custom yacht, Chavella is equipped with a SeaKeeper gyro and offers 4 good size staterooms, including a full beam master and a custom rod locker. Her interior is a work of art in smart layout design with beautiful satin finished teak, custom marble counter tops and storage is built-in throughout the yacht. The spacious cockpit has full teak decks and covering board and mezzanine seating with ample refrigeration. Chavella is powered by fuel efficient CAT C18s paired with the ZF transmission and the ZF 4,000 series Pod Drives and joy stick controls. Extended CAT Platinum Warranty through 10/28/2020 and extended ZF Warranty to 9/10/2020. Chavella is a head turner inside and out. 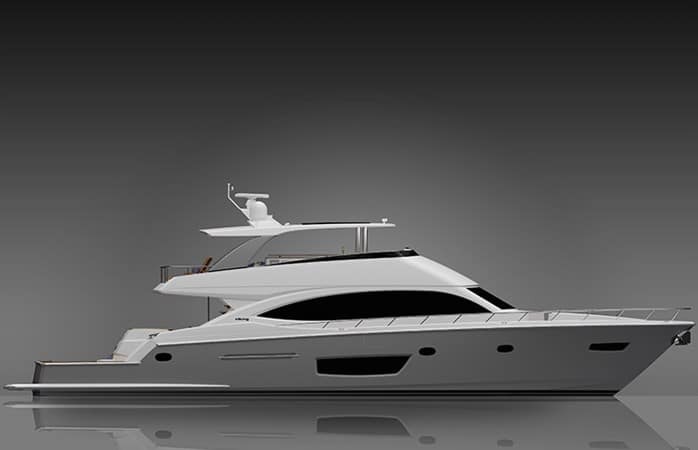 “Perra Mala”, an incredible opportunity to purchase a late model turn key custom Sportfish Yacht. Perra Mala boasts custom 3 stateroom 2 head interior by Belkov Yacht Company, ice maker, water maker, sat tv, dynamic positioning, twin generators, built in tuna tubes, full teak cockpit with Mezzonine and unmatched Carolina ride while only burning 64 GPH at 30kt. Some of the recent updates on her include fresh paint on foredeck, mask faired and painted, new SAT TV, bottom job, shaft seals, blacked out buggy top, all salon and galley woodwork refinished, new carpet throughout, recovered couches, underwater lights, led engine room lighting, JL stereo system, heat exchangers cleaned, new exhaust risers, new ridgid light bar and much more. Boat is turn key and ready to go. Schedule your showing today! 1993 Scarborough 56 Custom Carolina Sportfish, Team Player is truly a one of a kind with her established pedigree and her meticulous upgrades. This is a very unique opportunity to own a well built and engineered classic vessel with an immense amount of modern technology through her updates. The combination of “Team Players” V-8 Common Rail’s, performance, great head sea ride complete with sleeping accommodations for 5 make for a very desirable Sportfishing platform. Throw in the recent install of SeaKeeper NG9 and you have a game changing tournament competitor. Some of her notable upgrades are Sea keeper NG9, New 21.5KW Generator, New Electronics, Spot Free System, 150 Gallon Poly Water Tank, Fresh water Plumbing and Water Maker. 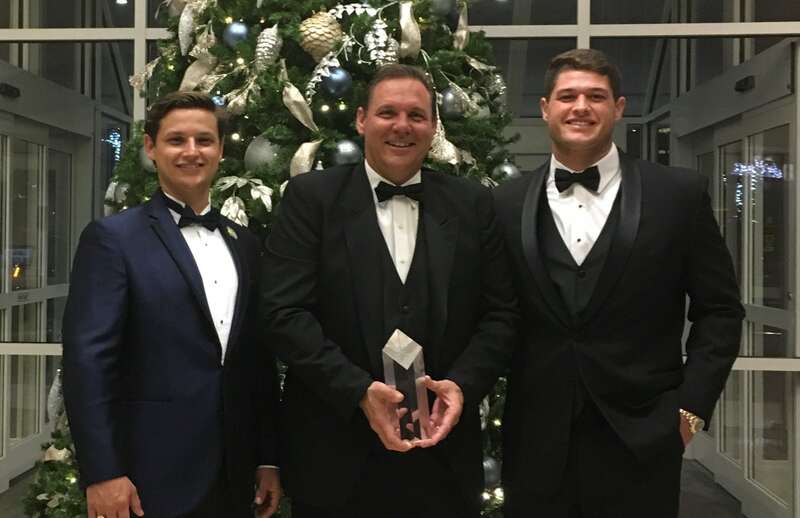 The “Team Player” presents a great opportunity to own a quality custom boat with a reputation that precedes its self. Call today for more information. 1994 Blackwell 53 Express, “Huntress” is a gorgeous Blackwell Boat Works 53 Express, has gone through an April 2018 significant overhaul! Including:exterior paint, new aluminum fuel tanks, new fresh water tank, new bilge pumps, new tongue and groove interior ceiling, new LED lights, new Atlantis Raritan head, new refrigerator and microwave, new teak and Holly floors, new counter tops & more! This is a one of a kind vessel. Hull #7, built by Craig Blackwell in Wanchese, NC. View full listing for all details.